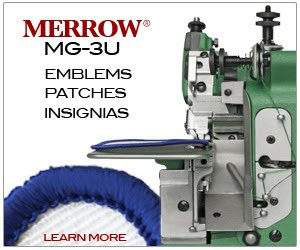 Merrowing a Patch Border by David Davies - INSTRUCTIONAL - Merrow Sewing Machine Co.
MG-3U Instructional Videos are here! I came across this gem on YouTube today - pretty apropos considering the MG-3U video campaign that we are currently running. Nice work by David Davies.